The Cambridges have some competition. 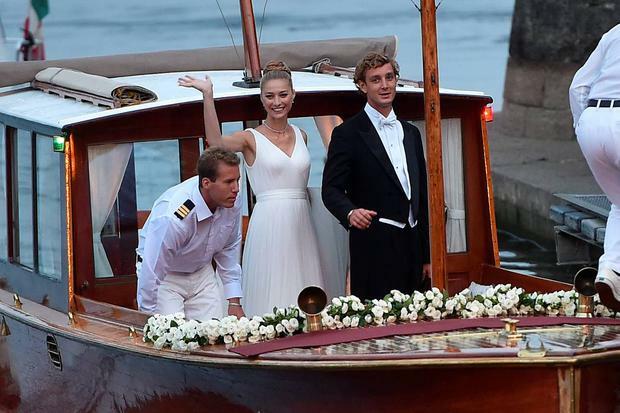 As Monaco's Pierre Cassiraghi wed long-term love Beatrice Borromeo in their second lavish ceremony yesterday, it was clear that their lifestyle is worlds away from the average joe, but they've nailed the down-to-earth public persona as best they can. Their 600-strong guestlist should have reignited the social class debate, but instead was more reminiscent of old Hollywood glamour, similar to the vein of George Clooney's no expense spared Venice wedding to Amal Alamuddin. The bride and groom travelled by boat to Beatrice's, er private family island, as did Princess Alexandra of Hanover, Pauline Ducruet, Princess Caroline of Hanover and Princess Stephanie of Monaco. And the newlyweds beamed as they waved at fans and media near the Italian island, which they were hosting their second reception after a religious ceremony earlier in the day. The pair wed in a civil ceremony last Saturday and later threw a celebration with 700 guests at Grimaldi Palace, attended by Prince Albert and Princess Charlene of Monaco and Pierre's mother Princess Caroline. They followed up their official ceremony with a religious service yesterday in the Stresa, an Italian town on the shores of Lake Maggiore, before descending on two of the many islands belonging to the Borromeo family. 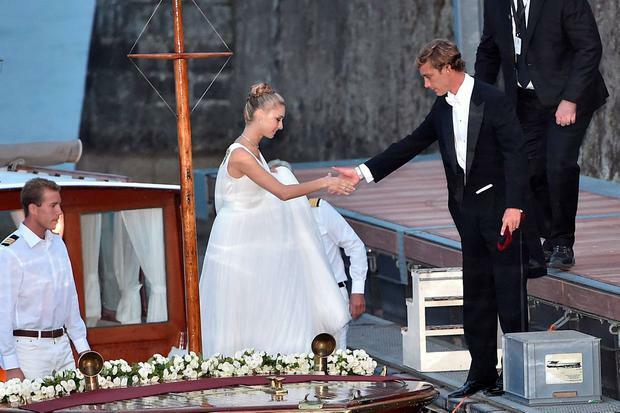 Pierre is the seventh in line for the throne as grandson of Grace Kelly and Prince Rainier. Beatrice studied at Columbia University's Graduate School of Journalism in New York City and met her royal other half while they were attending Milan's Bocconi University together in 2008.